2015 release on the Wersi Louvre GS1000, containing songs of a Viennese persuasion. Fleeting Moments (Sag beim Abschied leise Servus). Here is another CD featuring the Louvre GS1000 and this time it’s from the ‘Leading Lady of the Louvre’ (I just made that up), Claudia Hirschfeld. The title does give the game away as this is a CD full of songs with a Viennese theme, which does make it seem aimed firmly at the German/Austrian market. The style of Claudia’s recent releases are polar opposites to Brett Wales’. Whereas Brett uses the Wersi-sound to take the lead on pop, rock and a little easy-listening, Claudia is now sitting firmly on the orchestral side of the organ bench and rarely dips into the drawbar side of things (apart from a couple of pieces on this CD). 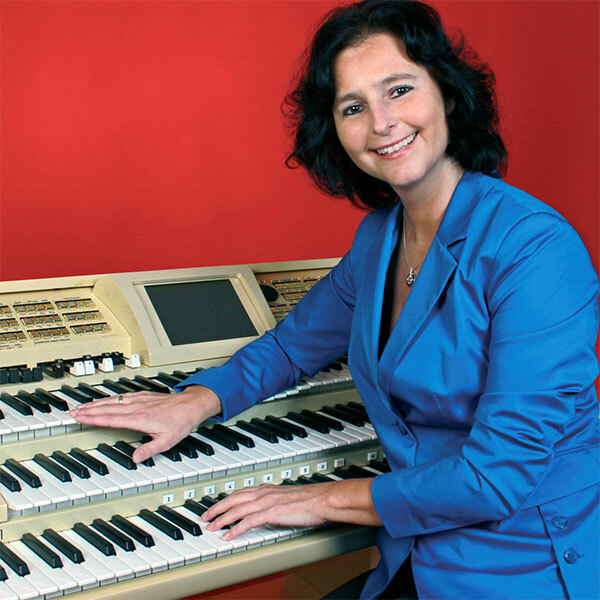 She has moved away from the pop organ sound over the past few years, in fact her 2013 release was a live concert where she accompanied three German opera singers. Her 2012 release was a live classical concert from Rome and her 2009 release was called “Classicals” (you get the idea). You have to go back to 2008 for her last ‘pop’ Wersi organ release (although there was a surprise Roland Atelier CD in 2011). Most of the tracks here are Marches, Polkas, Opera Overtures and Strauss-style waltzes although there are a few which don’t fall into those categories. The CD starts with “Good Old Vienna” which is a new one to me, although it does sound like half a dozen familiar tunes all rolled into one. “Vienna Mine” is next which starts with a sultry accordion lead that seems more Parisian than Viennese, even when it all goes orchestral. The popular organ piece “Under The Double Eagle” next which has made it’s way onto around thirty keyboard CDs that I know of and this is certainly one of the better versions out there. I’ve never heard of the next piece, “I Belong To Me” from the Musical “Elisabeth”, which it seems is a German language musical written by Sylvester Levay (who also wrote the theme for the “Airwolf” TV series amongst many other tunes). This track has a gentle soprano sax lead and almost seems out of place with the previous tracks on the CD, but it makes a nice mood change. A medley next, which feels a little Greek to start, before we get into another organ favourite, “Vienna, City Of My Dreams” (although this one has only made it onto around twenty CDs). An excellent version of “Thunder & Lightning Polka” is up next with loads of cymbals and crashes. Robert Stolz’s “My Song Of Love” from “White Horse Inn” is next with an accordion lead. We have a Claudia composition next and “Mollmannsdorfer Polka”. This one made it onto a CD back on her 1999 “Spectrum” release, but that was on a Spectra Golden Gate, so the production has improved greatly and so it deserves the modern reworking on the Louvre. 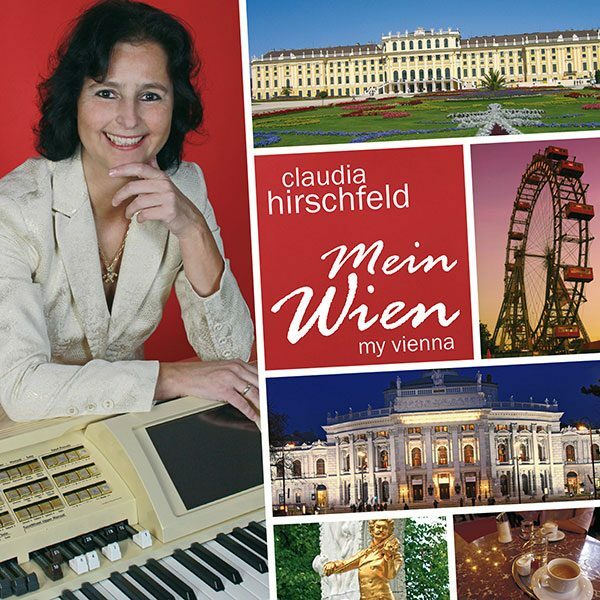 “My Mother Was a Viennese” next, which I have never heard of, but I see was released on a Harry Secombe LP back in 1962 and has been performed by André Rieu. Another unknown track next with “Excuse Me” by Viennese musician Peter Cornelius. This track is one of the few tracks on the CD which has an organ lead. The second of the brace of Robert Stolz tunes next and “My Song of Love”, then a couple of German tunes which are both new to me. The penultimate track is another great orchestral arrangement of “Die Fledermaus” which shows off the sounds of the Louvre to great effect and also Claudia’s excellent playing. The last track is a slow organ waltz, “Fleeting Moments” which I have never heard before, but is a lovely little tune which rounds off the CD nicely. This is a lovely CD with tracks you don’t hear a lot of on organ CDs. Okay, a lot of them will be a little unfamiliar to British ears, although with the popularity of André Rieu they are probably more popular and familiar now than they ever were (or ever will be). I’m not sure if people who like Brett’s CD will like Claudia’s or vice versa. If you also take into account the other main Wersi recording artiste, John Kyffin, then there are probably three ‘camps’ out there with their own fans who won’t venture outside there little patch, but all three are producing great sounding CDs in their own unique and impressive style.